For years I’ve been wanting to get rid of stuff. Let me tell you – being a mom of many allowed much stuff to accumulate in this house. And I mean a ton. Two years ago I made this decision to move from Minneapolis to Nashville, which was fantastic, but it also meant that I needed to deal with all the stuff. I’ve spent most of my mothering years managing stuff. Putting it back, sorting it, organizing it, buying things to store it and on and on and on. I’m got tired of it. I want to live with less. Freer. So I took the plunge, bought a book called the life changing magic of tidying up that I saw others working on and decided to get rid of my stuff. It was a process, for sure, but it changed my life. And because of that, I put together a course that details my personal journey of decluttering my home. Not a small declutter, but a getting rid of 75% of everything I own kind of declutter. 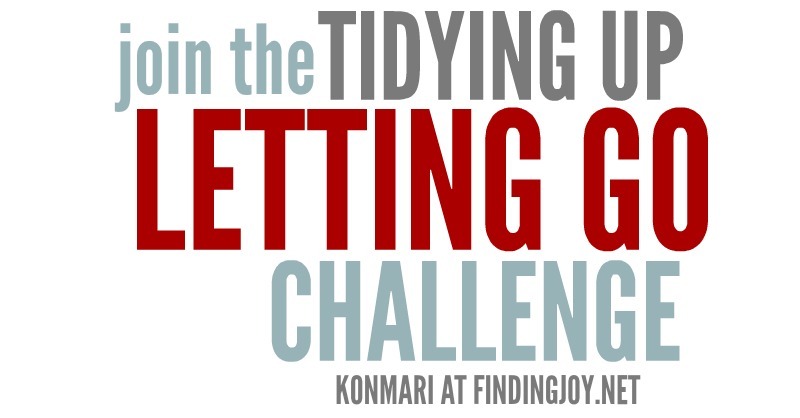 And that is why, because it changed my life so much, that I put together this free six week challenge, so that you too, can begin the journey from clutter to joy. Being a mom is hard. That’s what I write about. Being a mom and managing a whole bunch of stuff is hard too. Learning to let go and having permission to let go of stuff? Well, that’s what this is – we will deal with the emotional baggage, the practical (where do you put it all) and the steps to find freedom. 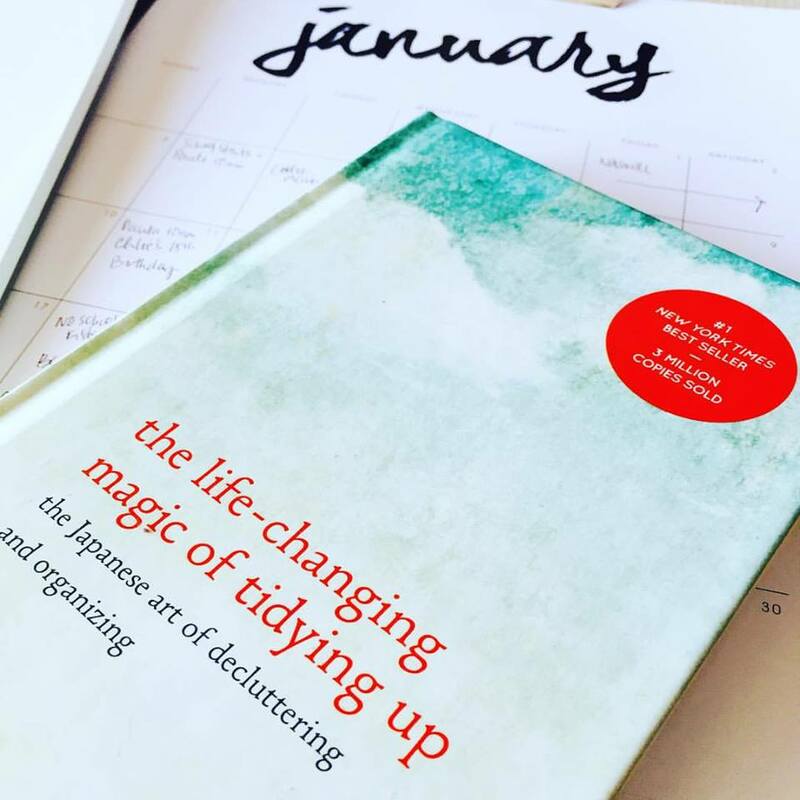 First, if you’d like the book here’s the link from Amazon ->the life changing magic of tidying up. This is HOW to join. 1. Join the email list. I’ve created a special six week email loop for the book. You will receive two emails from me a week with challenges and links to articles that I’ve written. PLEASE NOTE — if you signed up last year you will need to sign up again because this is a new email list with new thoughts and some new challenges. Woohoo! 2. Find a friend to join you in this challenge. I have found that having an accountability partner is an awesome thing. And if you can’t find someone specifically join my Finding Joy page on Facebook or and we’ll be chatting about progress. Once you sign up for the email you will receive an invite to the private Facebook group where we work through challenges. 3. Be prepared for a journey of freedom. But don’t expect it to be instant. This process will take work and it will take time. That’s why there is support, emails and my own stories of stumbling and struggling and thriving. ps. As you’ll read in my first email I think we all might need to invest in garbage bags. Hahhaah. please also note, the Amazon link is my affiliate link. Love this idea as I’m trying to do the same thing. I’m in! I’d like to try this. I’ve been wanting to declutter for a while. There is an email opt in form right above. If it doesn’t work – let me know and I’ll add you. Thank you! I tried submitting my email to sign up but I’m not sure it was confirmed. If not, could you please add me? It went to my spam folder, look to see if that’s where it went for you. I’ve been uncluttering my basement and put a ping-pong table down there, so the family can enjoy time together instead of having unused junk cluttering up all the space. It’s like having a whole new area of house. Just added a big size of clear garbage bags to my grocery order! Can’t wait to follow along and do this with yoy. I have lots of stuff that needs to go. I’m so excited for this book. I actually bought it for myself last month as a gift to myself. Glad to have friends in the journey. Nancy, I thought I saw the start date as Jan.11th. I am going to order the book too. That gives us a couple of days to get it. The start date is January 11…. I know some people have purchased the kindle version as well. I’m looking forward to your insights. I bought the book about a month ago and declutterd my clothes – and when I put every single item I own on the floor t was disgraceful!! I got rid of 3 rubbish bags full and I could do the process again – and get rid of more. I’m looking forward to this journey!! I am so looking forward to this challenge and it came at the right time. We moved about 6 months ago and even though we moved a few times prior this time I realized we have more then we need and I am ready to let things go. Like to mentioned to live a freer life. Thank you. I just ordered this book and am looking forward to reading it. I’m very tempted by a weekly e-mail challenges, but I think I’ll wait until the book arrives to commit! I look forward to hearing what yo think as well. Are we supposed to do something today or just start reading the book? I’ve been planning on writing them and publishing them around 7pm on Monday. I am reading this book too, started just after Christmas. We are moving house so it’s certainly given me the kick up the bum to declutter! I think I’ve really taken to been grateful for what you have concept in this book- when she says to say thank you to everything , it’s helped me to be appreciative of what I’ve got and what I can donate 😊So far I’ve done my clothes and working in my 2yr old and 6month old stuff. I don’t know why I put off reading this but I kept the tab up…plus about 10 others that I mean to come back and read. I want to reach through my phone and get a huge hug from you! This is so me…specially the first 2 paragraphs. I love all you write. I was coming out of a holiday funk and was also post-partum . Ready to let go of some things. Rachel…is it to late to join this group as I believe you all are at the end of the journey….I would love to do this, I need to do this, I feel like I drag bags of clutter with me everywhere I go!!! So depressing! So unorganized! Blah! I will order the book at least! Thank you! I love all your encouragement! I too came into this way too late but went ahead and registered for Rachel’s email. Curious to see if she can automate them to come at me all at once or weekly so I can feel accountable too. I read the book last year and sorted my clothes but then didn’t move forward and then the holidays and then and then and then and here I am half a year later not moving forward. I just saw your week six post on Facebook and was wondering if there is any way you could send me the other emails as well? Thank you so much for the pieces you write. They are truly inspirational and let me know I’m not the only one with mommy struggles. I submitted my email to sign up for the challenge, just not sure it is going thru as I haven’t received an email. Can you make sure I’m signed up? I would check your spam folder. Sometimes new email has a pesky way of migrating there.